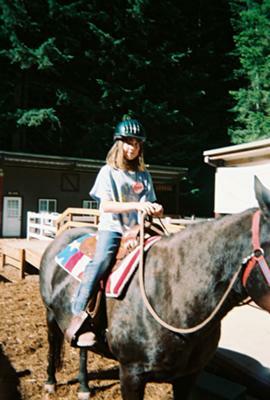 I know I am a horse crazy girl because when I was little I started riding different horses. 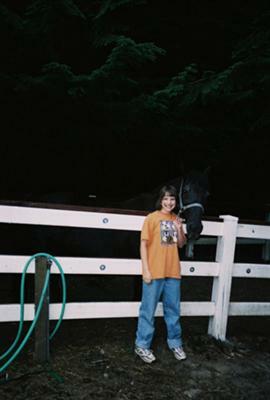 My first horse I rode was on a beach in Long Beach, WA. My second ride was on a horse named Lucy. I rode a couple times up at the summer I camp I used to go to. 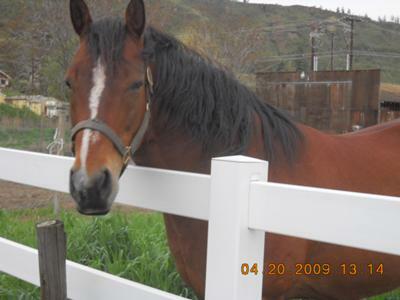 And, there's a horse who lives up my street named Polly. 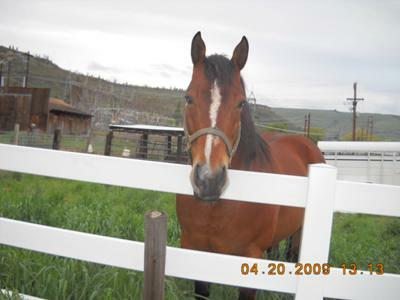 She's a quarter horse mare, I love her! I own Polly.